Organisers of the Lincoln Beer Festival have announced a rise in the number of visitors flocking through the doors for this year’s event. Over 3,700 enthusiasts attended the festival at the Lincoln Drill Hall, an increase from the 2014 figure of around 3,500. Beer connoisseurs were treated to a special Magna Carta theme, to mark the 800th anniversary of the signing of the historic document. They made the most of the celebrations, consuming over 10,000 pints of real ale, plus plenty of cider, perry and international beers. Many international visitors from the Harley Davidson Super Rally event at the Lincolnshire Showground also stopped off at the festival to sample some of the local specialities. 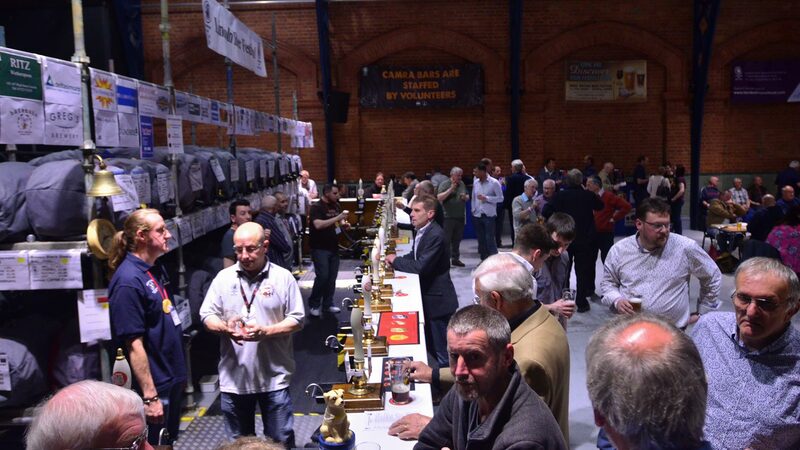 The event was organised and staffed by unpaid volunteers from the Lincoln branch of the Campaign for Real Ale (CAMRA). Festival organiser Wendy Margetts said: “There was a great atmosphere throughout the three days. And with the Super Rally on at the Showground, there was a real buzz in the city.